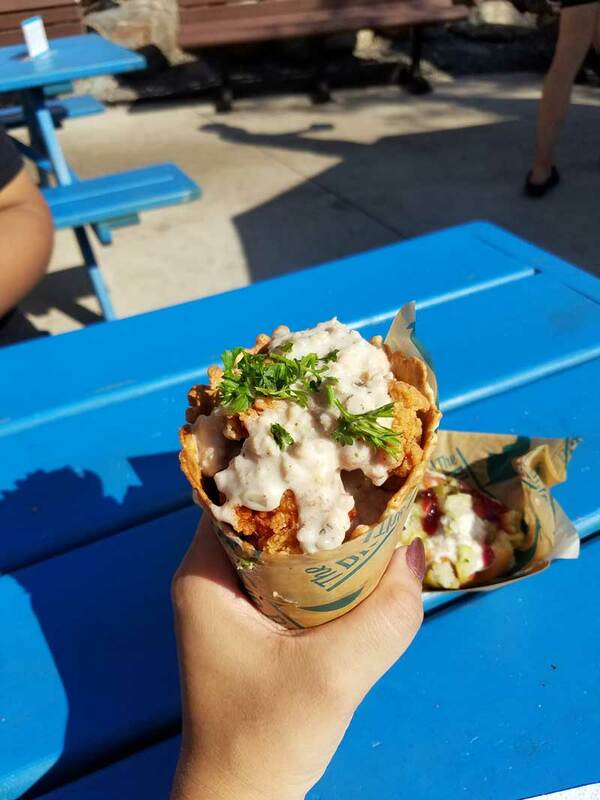 Mission to Munch is back and this time we’re tackling the Minnesota State Fair. Scroll down for the Vlog format of this post and follow @missiontomunch on Instagram. Ok, the fair ended on Labor Day (September 3rd), but as the second largest state fair in the U.S, just behind Texas, we’ve got plenty of food finds to share, even though the fun is over. The fair holds a special place in my heart, as it always falls near my birthday. 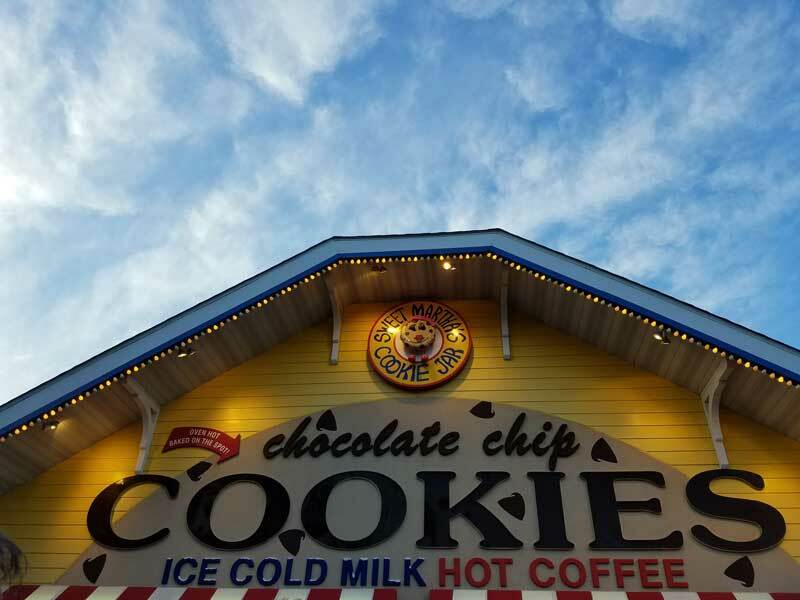 As a child, I often had the choice to pick either a nice restaurant or the state fair. 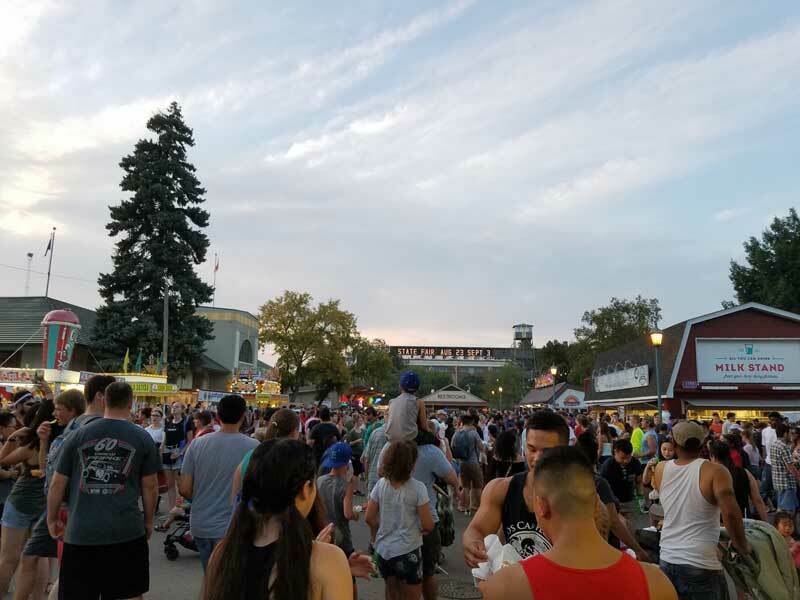 While many of my early memories are hazy, and some of my later memories are of an upset stomach from too much food, the state fair is a spectacle that celebrates locality and creativity, it’s the-Great-Minnesota-Get-Together (as it’s called around these parts). Get-together might be an understatement. With around 2 million visitors to the State Fair annually, this is more than a get-together. In fact, this year, for us, The Minnesota State Fair was a mission. With so many people “gathering” at the state fairgrounds in St. Paul over the course of twelve days, things can get a little crazy. People come from all over, many even walking from miles away as they arrive on public transportation or nab the cheaper parks further out. This odd pilgrimage makes it easy to tell when you’re getting close, even when you’re still some way out. As you draw nearer to the fair, the route is dotted with unofficial food trucks, oddball protestors (hoping for some attention), and throngs of walkers. Once you’ve made it past the starting spectacles, finding a park is the next challenge. Frankly, all the stimulation can tempt any sane introvert to skip the fair altogether. Luckily (or unfortunately) for us, the call of delectable Franken-foods filled us the determination to continue on our mission. State fairs can be quite expensive. Parking is $14, (although that was at the official lot, if you park in other lots this price can increase to around $20). Entrance tickets are $14 per person, so for us, a group of four, we were out $70 before even getting in the door. 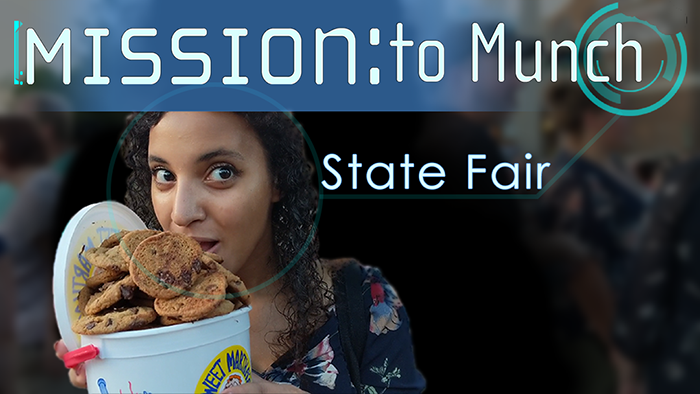 State Fairs really must be tackled as a group, especially if the mission is munching. One stomach alone can’t handle all the food. 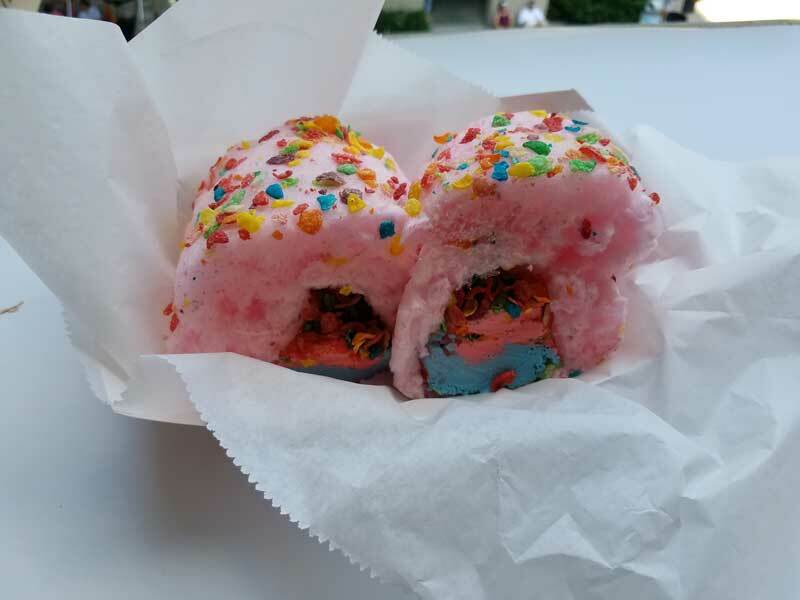 We identified around 20 new state fair foods that we wanted to try. We successfully tried 8. We also had several classic state fair foods. We ended up below our mission goal mostly because we somehow chose the busiest fair day. Our attempts to munch were defeated by extremely long lines, for example, it took us just under an hour and a half to get our first food item. This, of course, counts walking time, finding the place, and waiting in line. As time went on, the lines got even longer. We ended up skipping some of the food because we didn’t want to bother with waiting in the long line. In a few cases, the line wasn’t too bad, but the orders were so backed up, that we still ended up with long wait times. We spent about 45 minutes waiting for Earth Wings after ordering them. Total $ spent: $254 (including parking and tickets for 4 people) so we were $4 over budget, but arguably, we could choose not to count the tickets and parking in the overall budget since this is a fixed cost for attending the fair. Total # of people at the fair that day: 270,426. Saturday, the day that we attended the fair, broke the record for most attendees in a single day ever… It definitely felt like it. The Minnesota State Fair is NOT an introvert’s paradise. Biggest Regret: Not getting to try the pallet cleansing apples created by the University of Minnesota. The variety, called First Kiss, was sold out for the season. See the food in all its glorious action by watching the vlog below! Don’t forget to Check out our Mission to Munch Instagram and follow us for more mission to munch adventures!